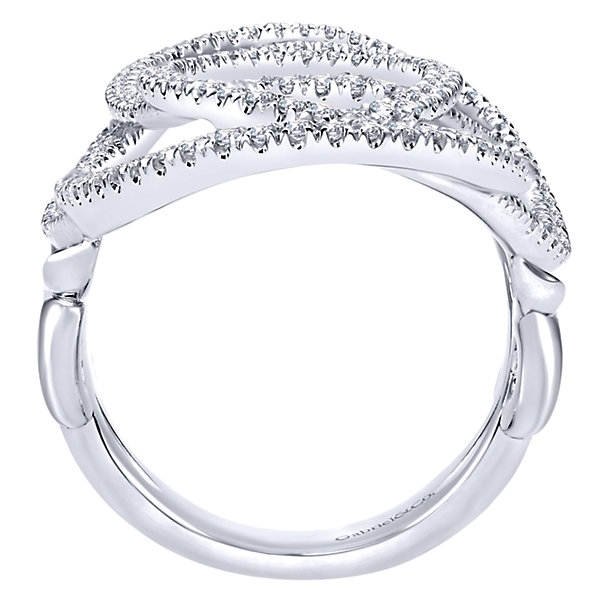 This 14k white gold swirling diamond fashion ring loops up and down the finger to make this unforgettable pattern. 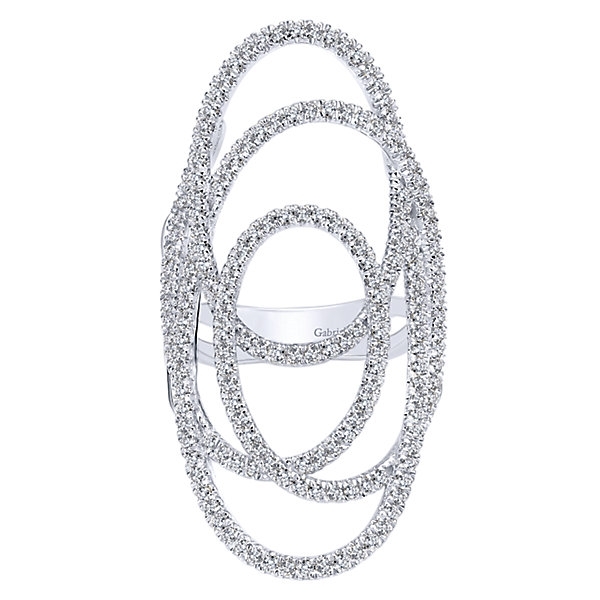 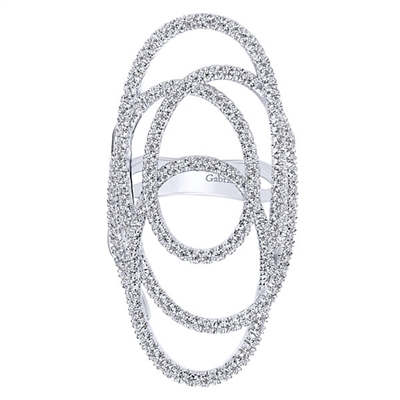 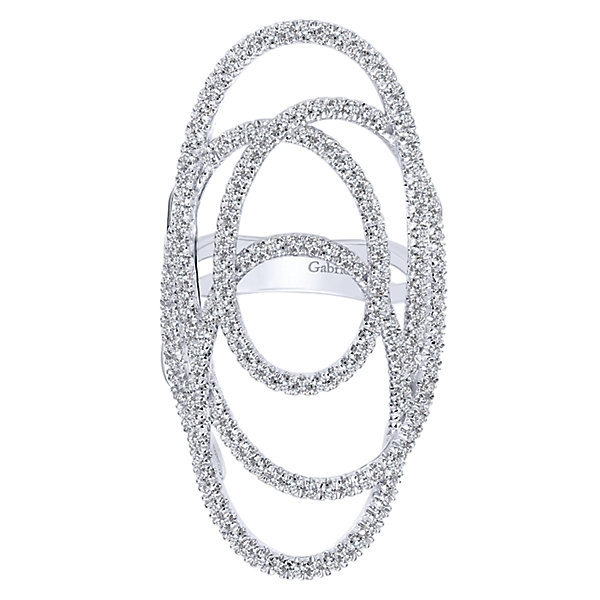 This swirling diamond ring is patterned with concentric loops that shimmer in 14k white gold. 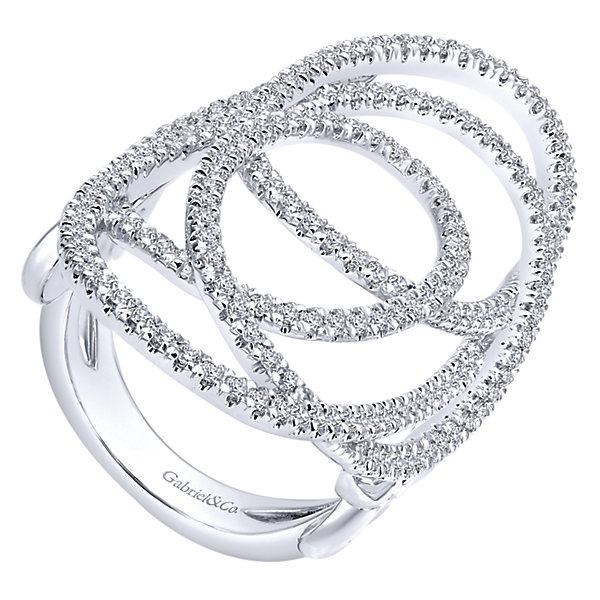 With this fashionista special, you'll be shimmering in no time!